Alexander Selkirk, the seventh son of a Scottish shoemaker, possessed a keen mind and a nasty temper, which eventually resulted in a summons before church elders in Fife for indecent behavior. Rather than face imprisonment or censure, he fled and became a seaman in 1695. His mathematical skills resulted in quick promotion to navigator, a position that also garnered him respect. He didn’t return home for eight years, and by then, his temper had worsened. An argument with his family turned violent, and once again the church elders summoned Selkirk before them. Unlike before, however, he appeared contrite and promised to mend his ways. Little else of his life is known until a privateering venture to prey on the Spanish treasure fleet in the Pacific Ocean sailed from England in September 1703. William Dampier, who had already circumnavigated the globe, commanded the expedition from the Saint George. Selkirk served as navigator aboard the companion ship, the Cinque Ports, which Charles Pickering captained. Born in 1652, Dampier went to sea in 1668. He joined the navy, but illness forced him to retire. He managed a Jamaican estate for a time, then returned to England where he married a woman named Judith, whom he saw little of as he almost immediately returned to the sea. He was both pirate and privateer, but became better known for his scientific explorations and detailed journals noting everything he encountered – natives, weather, geography, winds, currents, exotic plant and animal life. During an eight-year span beginning in 1680, he joined pirates who plundered ships in the South Pacific and Asia. A decade later, he commanded a government-sponsored expedition to Australia, which ended in failure when the HMS Roebuck sank off Ascension Island in 1701. He published several accounts of his adventures. A New Voyage Round the World, which became a bestseller in 1697, recounted his pirating adventures. Voyages and Descriptions (1699) told of his journeys to Campeche, Indonesia, and India. A Voyage to New Holland (1709) detailed his ill-fated voyage aboard the HMS Roebuck. His current expedition would prove equally unsuccessful. The Cinque Ports had problems from the start. The ninety-ton vessel was heavily armed, since she expected to fight the Spaniards for their gold and silver, and overcrowded, to allow Dampier to man captured ships with crews of his own. Provisions became sparse and many suffered from scurvy. Eventually, a fatal fever claimed forty-eighty of the Cinque Ports’ ninety-man crew, including Captain Pickering. Thomas Stradling assumed the captaincy and Alexander Selkirk became his second-in-command. After surviving severe storms rounding Cape Horn early in 1704, the two privateers searched for Juan Fernandez Island. Named for the merchant seaman who discovered it in 1574, the uninhabited island lay approximately four hundred miles east of the Chilean coast. He named the twelve-mile-long and four-mile-wide island Mas-a-Tierra (large island). Although rugged and mountainous, it provided an ample supply of wood, fresh water, and meat for any vessel that stopped there. Its mild climate and sheltered bay made it an ideal haven for pirates (and others) wishing to careen and refit their ships. At twenty-one, Thomas Stradling lacked many of the skills that made a good captain. He was also a tyrant, which often put him at odds with Dampier, the leader of the expedition. Dampier, himself, was known to lose his temper. On a previous expedition he beat his second-in-command with a cane, put him in irons, and had him jailed in Brazil. When Dampier returned to England, he faced a court martial, was fined three years’ pay, and deemed unfit to command a Royal Navy ship. That was why he had mounted this private expedition, but his overcautious nature kept them from attacking Spanish ships and raiding Spanish ports. After four weeks of this, Stradling had had enough. The two captains quarreled and decided to go it alone rather than hunt in tandem. Later, fifty-nine additional crewmembers would abscond aboard two prize ships taken by Dampier. By the time he returned to England in 1707, those who had funded the expedition would receive no return on their investment and would sue Dampier for fraud. Captain Thomas Stradling’s despotism soon conflicted with Alexander Selkirk’s violent temperament. Selkirk hated and distrusted the man. They nearly came to blows at least once, but William Dampier, who had led the expedition before he and Stradling had a falling out, intervened before the crew mutinied. Now, as supplies again waned and no prey was sighted, tempers flared. When the Cinque Ports returned to Juan Fernandez Island in October for fresh supplies, Selkirk asked to be put ashore. He felt the Cinque Ports wasn’t seaworthy and refused to sail with an incompetent captain. Stradling was only too happy to oblige. He sent Selkirk ashore with his belongings – sea chest, musket, navigational instruments and charts, cooking pot, Bible, flask of rum, tobacco – and enough quince marmalade and cheese to provide a day’s worth of sustenance. Initially, Selkirk felt his odds of survival safer on the island than aboard the ship with Stradling. The rotting oak hull leaked and the Cinque Ports was destined for a watery grave. The island, however, was the only friendly port where English and French ships could recover from or prepare for braving the rough seas between the Pacific and the Atlantic Oceans. Others who had been shipwrecked, marooned, or accidentally abandoned had been rescued, so Selkirk felt certain he and those who joined him from the Cinque Ports need only wait three or four months at most before being rescued. Yet, none of his shipmates joined him, and as the ship weighed anchor in October 1704, the enormity of being marooned frightened Selkirk. He pleaded with Stradling to let him return to the ship, but his pleas were ignored. Helpless, he watched the Cinque Ports sail away. Unbeknownst to him, the rescue he hoped for would not come for more than four years. The loneliness tormented Selkirk. He grew weak and wished for death. Instead, he lived. He found solace in reading his Bible and in prayer. When his meager rations ran out, he drank spring water and feasted on lobsters, seals, sea lions, and wild goats. With no other humans to converse with, he eventually forgot how to speak, but he remained in good health. 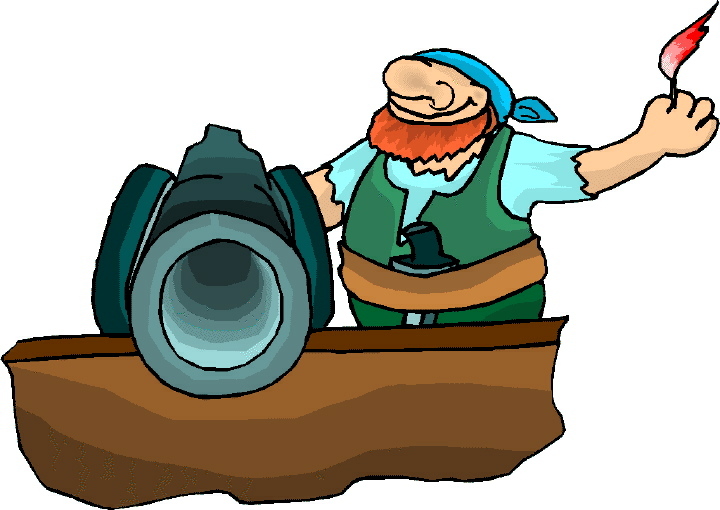 Having no powder for his musket, he constructed tools – knife, harpoon, saw, fishing hooks – from its various parts. He fashioned a cap and coat from goat hides, sewing the garments together with a nail. He built two huts from tree branches and grass. He rubbed two sticks together to make fire. His only fears were melancholy and the possibility a Spanish ship would come to the island. Meanwhile in England, Woodes Rogers mounted another privateering expedition with the same intent as Dampier’s earlier one. At fifty-six, Dampier possessed invaluable knowledge of the South Pacific, which made him an ideal choice for Captain Rogers’ pilot. Crewed by English and Dutch seamen the Duke – a three-hundred-ton, thirty-gun frigate – and Duchess – a slightly smaller vessel – sailed from England in 1708. The son of a prosperous sea captain, Woodes Rogers was born in 1679. During the War of Spanish Succession, he sent privateers to raid French ships. He married Sarah, the daughter of a West Indies naval commander, in 1705. Three years later, when the English government rescinded its claim on twenty percent of a privateer’s plunder, Rogers proposed the expedition to capture Spanish treasure galleons. To prevent a recurrence of Dampier’s failed expedition, Rogers adhered to meticulous planning and strict discipline. Unlike Dampier, Rogers was a superb captain. His bravery, honesty, and tact won him the respect of his men. He provided them with decent food, good medical care, and generous rations of alcohol. In return, he insisted on daily prayers and forbade gambling. Discipline was maintained with the cat-o’-nine-tails. They took their first prize near the Canary Islands. When William Dampier recognized Selkirk, he vouched for Selkirk’s seamanship and Captain Rogers allowed him to join his crew. They left Juan Fernandez Island on February 12, 1709, to hunt for more booty. Among the twenty-some prizes captured were two Manilla galleons. Rogers made Selkirk master of one of these. They also held the city of Guayaquil, Ecuador for ransom, netting them a tidy sum of 27,000 pesos. The following January, they attacked the Disengaño. During the battle, a musket ball pierced Rogers’ face. I was shot thro’ the left cheek, the bullet struck away great part of my upper jaw, and several of my teeth, part of which dropt upon the deck where I fell. (Cordingly, page 152) The captured cargo – which included Chinese silk – provided some solace from his injury, which left him permanently scarred. Several days later, they engaged another galleon in battle, but the nine-hundred-ton ship with sixty guns proved too powerful an adversary. After a wood splinter pierced his left ankle, Rogers broke off the fight and sailed to safety. 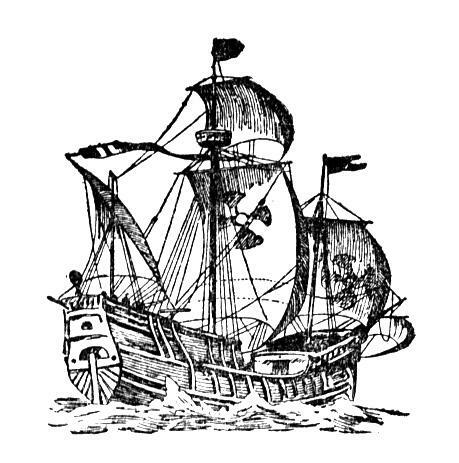 Woodes Rogers’ privateering expedition returned to England on October 14, 1711. William Dampier had completed his third voyage around the world. He died a pauper four years later. The captured treasure – which included gold, gems, and silk – was worth £150,000. Rogers eventually received in excess of £1600, but only after he went bankrupt because the profits weren’t dispersed until several years later. Selkirk’s shares amounted to £800, worth $100,000 today. He also received four rings, a tobacco box, a cane, two candlesticks, and a sword, all of which were made of gold or silver. He returned to Fife and purchased property befitting his newfound wealth. He met a young woman named Sophia Bruce. When he decided to return to London, she went with him. She claimed they married, and he made out a will leaving everything to her. Eight months later, he returned to sea. In 1712, Woodes Rogers published an account of the privateering expedition. A Cruising Voyage Round the World included his account of Selkirk’s marooning. Readers were fascinated by the Scot’s struggle to survive such desolation. What also attracted them was the morality he found by turning to God to overcome his fears: he was a better Christian while in this solitude than ever he was before. (Cordingly, David. Under the Black Flag, page 140). The book proved a resounding success and later served as a guide for future expeditions. Five years later, Rogers was appointed Governor of the Bahamas, but those who hired him couldn’t afford to pay him. His primary responsibility was to rid the islands of pirates, who considered New Providence a safe haven. Lacking sufficient firepower to enforce this charge, Rogers offered the pirates a pardon. Over six hundred took up his offer, and he then enlisted some of these reformed pirates to hunt those who refused to surrender. When some doubted his sincerity in ending piracy, he hanged eight pirates. In need of money and supplies, he returned to England in 1721. He was dismissed from his post, forced to declare bankruptcy, and was thrown into prison. It took seven years for him to reclaim his good name. He was reappointed Governor of the Bahamas and received an annual salary this time. He died in Nassau on July 15, 1732. Alexander Selkirk joined the Royal Navy in 1717. His ship docked in Plymouth in November 1720, but rather than visit Sophia, he remained in Plymouth. He flirted with Frances Candes, who owned a tavern, but she refused him her bed unless they married. In mid-December, they wed and Selkirk made out a new will leaving everything he owned to Frances. When the HMS Weymouth set sail, so did Selkirk. In November 1721, he fell ill. His symptoms included high fever, chills, headaches, muscle aches, vomiting, and bloody diarrhea. He died at eight o’clock on the evening of December 13th at the age of forty-one and was buried at sea. His one regret in life? Leaving Juan Fernandez Island. Selkirk’s life ended with his death, but his story did not. As soon as his two wives learned of their widowhood, each claimed her inheritance. A nasty legal battle ensued. Since Frances possessed legal proof of her marriage – whereas Sophia did not – and the will naming her as beneficiary nullified any earlier wills Selkirk had made, the court sided with Frances, leaving Sophia destitute. In 1713, Sir Richard Steele had interviewed Selkirk and his account, as well as a second edition of Rogers’ A Cruising Voyage Round the World published five years later, may have inspired Daniel Defoe to write Robinson Crusoe in 1719. Although educated to become a Presbyterian minister, Defoe held a variety of jobs – merchant, importer, buyer and seller of ships, brickyard owner, journalist, government agent – during his lifetime. The one that brought him everlasting fame, however, was as an author. Although credited with having written over five hundred works, less than a dozen of these actually bear his name. When he published his tale about the shipwrecked Crusoe, Defoe was sixty years old. Its original title was The Life and Strange Surprising Adventures of Robinson Crusoe, of York, Mariner: Who Lived Eight and Twenty Years all alone in an un-inhabited Island on the Coast of America, near the Mouth of the Great River of Oroonoque; having been cast on shore by Shipwreck, where-in all the Men perished but Himself. With An Account how he was at last strangely deliver’d by Pyrates. Like Selkirk, Crusoe ran away to sea. Rather than maroon him, as had happened with Selkirk, Defoe shipwrecked Crusoe. His isolation lasted far longer than Selkirk’s, but both endured physical and mental challenges in order to survive. Defoe published one thousand copies of Crusoe’s adventures. Within a fortnight, a second edition was printed. Within a year, the book was translated into three other languages. Eventually, he penned two sequels: The Farther Adventures of Robinson Crusoe and Serious Reflections During the Life and Surprizing Adventures of Robinson Crusoe. In a way his tale about a seaman who lived on an uninhabited island for many years gave Alexander Selkirk eternal life. In 1935, the Chilean government declared Juan Fernandez Island a national park. Thirty-one years later Mas-a-Tierra was renamed Isla Robinson Crusoe. A smaller island (approximately ninety miles away), which Don Juan Fernandez had named Mas-a-Fuera, became Isla Alexander Selkirk. In 1977, UNESCO named Robinson Crusoe Island a Worldwide Reserve of the Biosphere.